THE attitude and demeanour of the Godolphin duo is strikingly different - Avilius is relaxed and nonchalant, Plague Stone full of nervous energy and impatience. 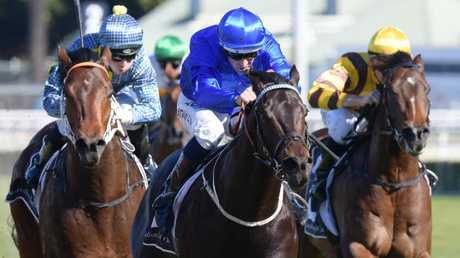 But if jockey Glyn Schofield and trainer James Cummings can harness each horse's best attributes and obvious talents, the stable could be celebrating a brace of Group 3 wins at Rosehill Gardens on Saturday. Avilius, the boom French import, is striving to maintain his unbeaten Australian record in the Group 3 $150,000 Premier's Cup (1900m). Emerging three-year-old Plague Stone is taking on a crack field of young sprinters in the Group 3 $150,000 San Domenico Stakes (1100m). In early TAB Fixed Odds betting, Avilius is into $1.85 favouritism to maintain his winning momentum while Plague Stone is at $4.20 behind only Performer ($3.70). 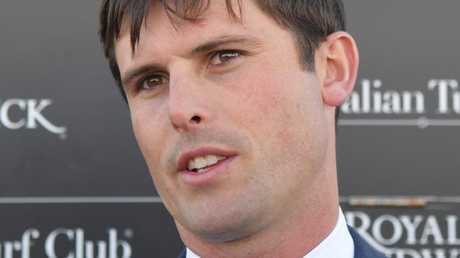 Schofield rode Avilius in his Australian debut earlier this month when the five-year-old gelding unleashed a brilliant burst of acceleration to run down Dagny over 1600m at Randwick. "His debut was very exciting,'' Schofield said. "I wouldn't say he caught us by surprise as he has some great form behind his name in Europe but it was a very impressive racetrack debut in Australia. "His turn of foot was instant. He has got some speed about him - he is not a dour stayer. Avilius raced at a high level in Europe, including his second behind the outstanding Cracksman in a Group 2 race at Chantilly last year. His best form overseas is up to 2400m so he could emerge as a Group 1 The Metropolitan hopeful for the Cummings stable this spring. "He works like the most relaxed horse,'' Cummings said. Cummings said Avilius did a "solid piece of work" on Tuesday morning to confirm his place in Saturday's race. "I don't think I've had a horse more suited to this program, going into a 1900m race second-up,'' he said. "His work rider is an experienced guy and he was very happy with the way he galloped. So everything points to another really nice performance. "Hopefully he continues to impress us as he steps up to tougher opposition. 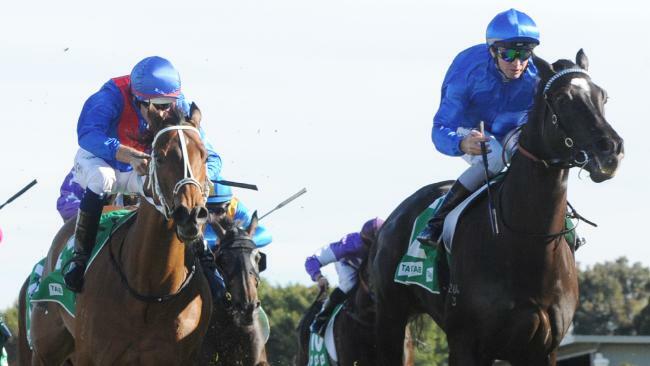 There's no doubt he's taking on a tougher grade this time." Plague Stone was impressive winning over 1000m first-up at Randwick, then he wanted to over-race when beaten out of a place as favourite behind Sandbar in The Rosebud (1100m) at Rosehill Gardens last start. Cummings feels Plague Stone, fitter for two runs from a spell, is capable of being in the finish on Saturday. "Plague Stone's training has been better leading up to the San Domenico than before the Rosebud,'' he said. "He looks like he's using himself more sensibly and he let down really powerfully in his work this week. But, I'm quite wary that he is up against much tougher opposition." Schofield and Cummings also join forces with Cloak in the Group 3 $150,000 Ming Dynasty Quality. Cloak and stablemate Aramayo are both last start winners in easier grade, but Cummings may only run one of his three-yaer-olds. "Aramayo had a good win at Canterbury last time, he has trained strongly at Crown Lodge but he may be saved for another race a little later,'' Cummings said. "Cloak seems to be going from strength-to-strength this preparation. He was quick out first-up and really strong late second up, and third-up this time over 1400m he should be right there where we need him to be.